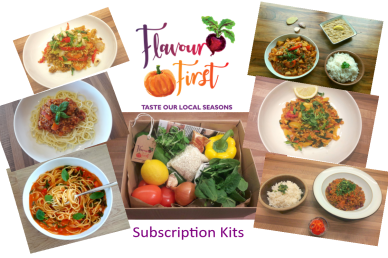 At flavour first, we have a great selection of boxes available for your everyday needs. To get started please select a box from the available options below. 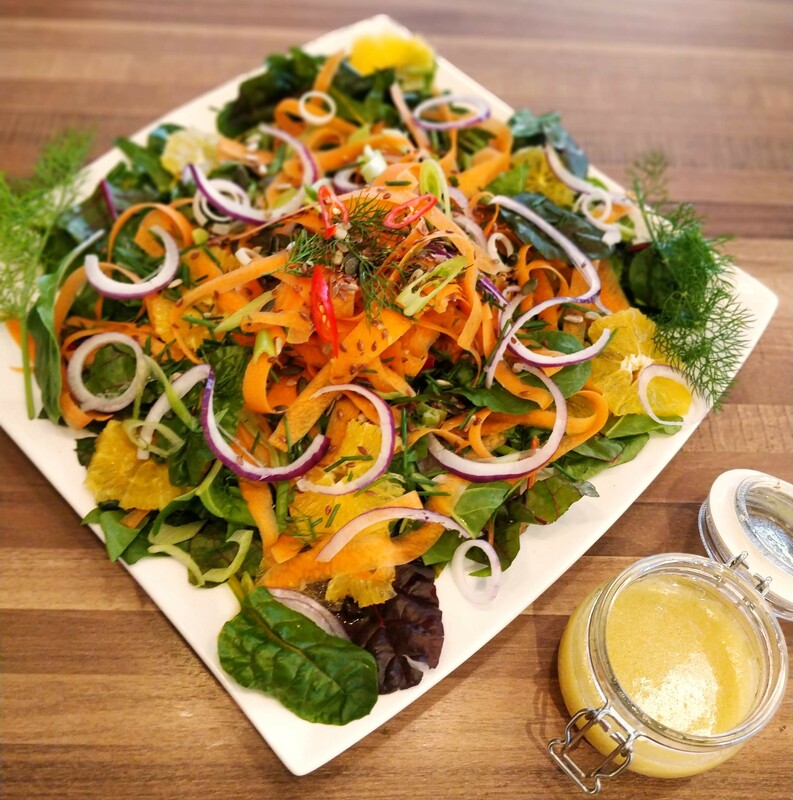 Orange & Fennel Spring Salad with a Zesty Wholegrain Mustard Dressing £6.00 Orange, fennel and carrots come together to give a riot of fresh spring tastes and textures. This salad works as a main by itself, as a side to roast chicken or pork chops and also makes a great packed lunch option. Serves 4 as a main and 6 as a generous side. Allergens: Mustard (wholegrain mustard), Sulphites (wholegrain mustard), may contain Nuts & Sesame Seeds (mixed seeds). Ready to cook ⓘ This kit contains all the fresh ingredients & instructions you'll need to cook this meal. Click here for more info. We have taken a classic family favourite and made it veggie! 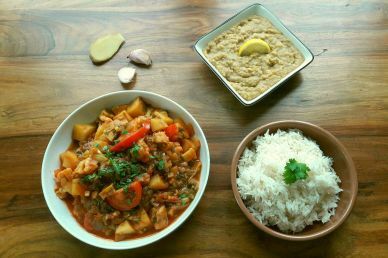 Perfectly balanced and really nutritious, the vegetables and lentils help absorb the flavours and provide a great texture for this rustic dish. Super healthy and super delicious, this meal will not disappoint! 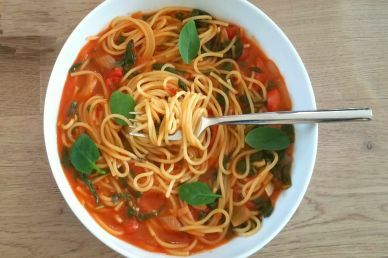 Onion, Garlic, Red Pepper, Chopped Tomatoes, Mushrooms, Tomato Puree, Carrot, Wholewheat Spaghetti, Tomatoes, Green Lentils, Herb Blend, Parsley and Basil, Bay leaf. Store in a dry cool place. Use as soon as possible after delivery for optimum flavour, preferably within 2-3 days. We advise removing the mushrooms and cherry tomatoes and storing these in the <strong>fridge</strong> until ready to use. 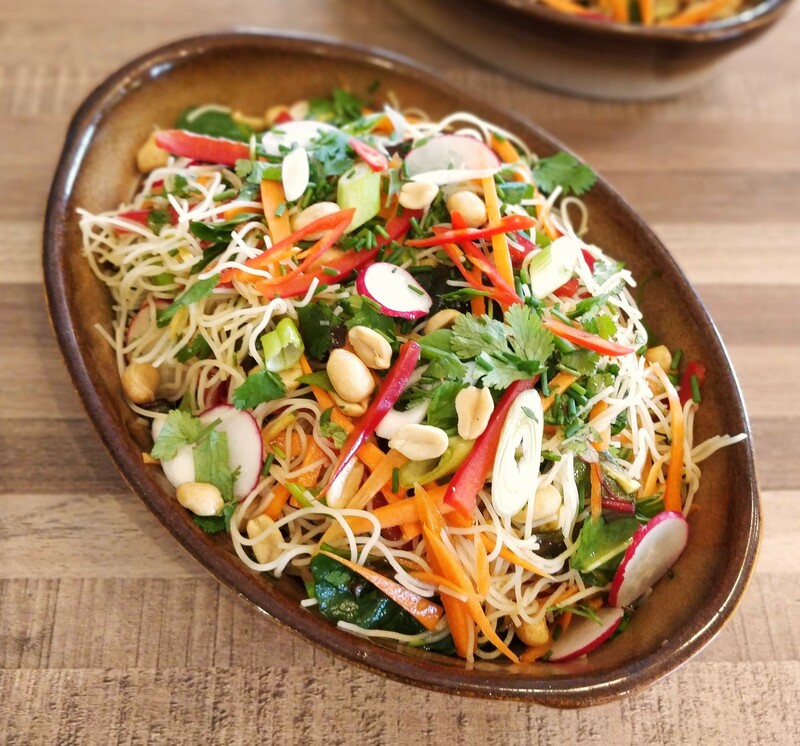 Layer upon layer of texture and flavours bursting with the fresh taste of Thailand, this rice noodle salad is packed full of a rainbow of spring and summer veg. This dish will prove to be a big hit at your next picnic, BBQ, or dinner party and also makes a great lunch, side dish or enjoy as a main for supper with our serving suggestions. Store in a cool dry place, Use as soon as possible after delivery, preferably within 3 days for optimum flavour. Please see outside label for items advised to be removed from kit and stored in fridge until ready to use. 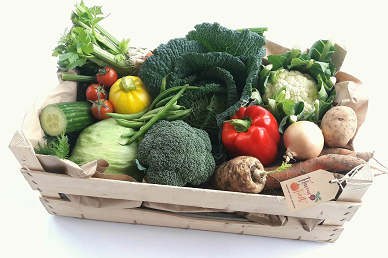 The Veggie Box £14.50 The box our recipes are based on. A colourful array of seasonal produce that will inspire creative cooking, whether it’s big dishes or delicious sides. Indulge in approx. 10-12 varieties. 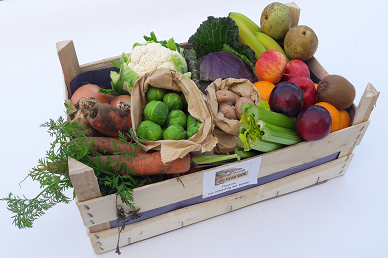 Veggie Lovers are fanatical about this box and adore the recipes included- A Star Buy! Our Rainbow Chilli uses our bespoke smokey depth of flavour spice blend and our locally grown rainbow chard. 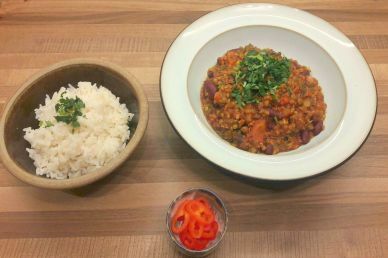 It brings together raw vegetables, grains and lentils to create a rich and satisfying vegetarian chilli with unique and complex depth of flavours and texture. 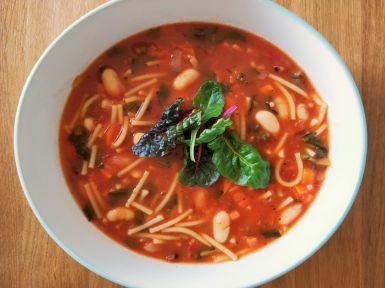 This fibre and antioxidant rich meal is mild to medium heat and certain to satisfy any meat eater. A big hug in a bowl and definitely one of our favourites! <p><strong>Store in a cool, dry place</strong>. Use as soon as possible after delivery, preferably within 2-3 days for optimum flavour. Please see outside label for items advised to be removed from kit and stored in fridge.</p>Leftovers can be cooled, refrigerated or frozen and used again. This authentic Indian feast is a perfect weekend supper at a fraction of the cost of a take away, but bursting with taste and wholesome freshness. Treat yourself to the flavours of North India and enjoy the aroma of our infused spice blend whilst you cook. Medium hot, this will become a firm favourite. 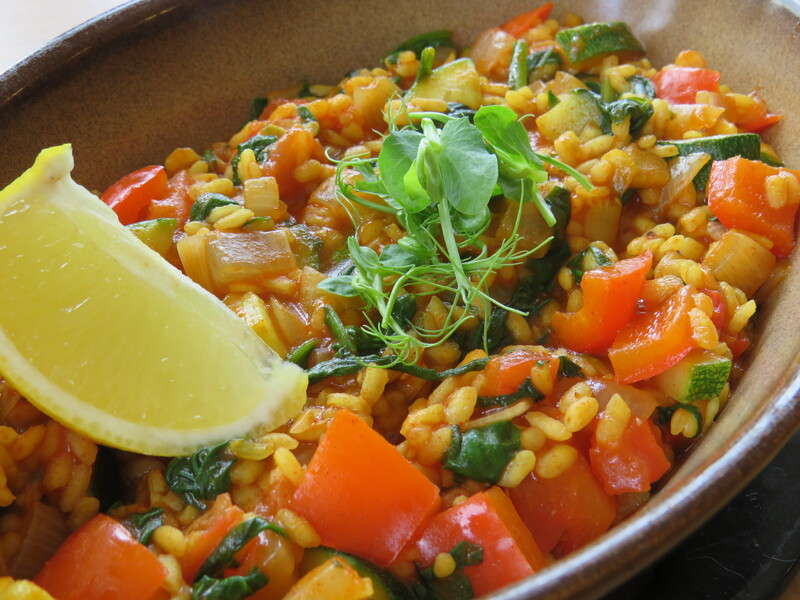 Our Veggie Paella brings the taste of sunshine and the Mediterranean into your home. Packed with a rainbow of natural fresh vegetables and bursting with clean flavours and goodness. So quick and easy you could have time for a siesta before you start preparing it for evening supper time. Store in a cool, dry place. Use as soon as possible after delivery, preferably within 2-3 days for optimum flavour. Please see outside label for items advised to be removed from kit and stored in fridge. 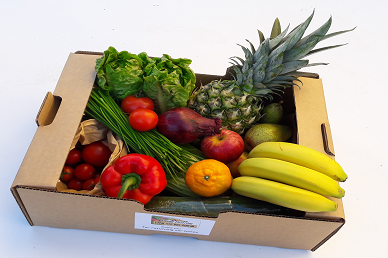 Large Veggie & Fruit Box £18.25 This is your one stop, seasonal veg & fresh fruit box. A mix of handy weekly staples and unique seasonal gems with recipes provided to keep you cooking up a storm in the kitchen. Includes approx. 14-16 Veggie & Fruit varieties. The Biggest & Boldest! 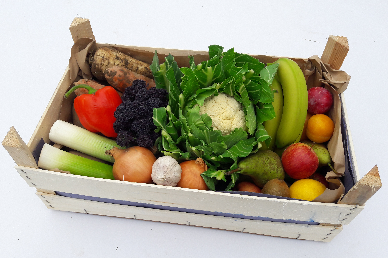 Mixed Veggie & Fruit Box £14.50 This is your one stop, Seasonal Veg & Fresh Fruit box. A mix of handy weekly staples and unique seasonal gems with recipes provided to keep you cooking up a storm in the kitchen. Includes approx. 10-12 Veggie & Fruit varieties. A popular box! 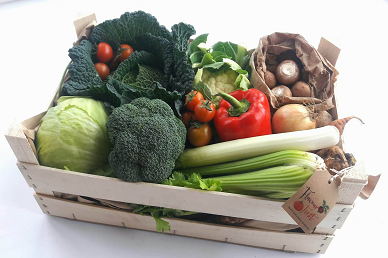 Veggie & Salad Combi Box £14.50 Seasonal Veggies with Recipes and Super Speedy Salad ingredients to shake up your kitchen. Includes approx. 12-14 varieties. A Vegalicious Star Buy! Salad & Fruit Combi Box £14.50 Grab & Go favourites for your fruit bowl and Super Speedy Salad ingredients. Includes approx. 10-12 healthy types. Keeping life seasonally simplistic! Introduce rustic Italian charm to the dinner table. 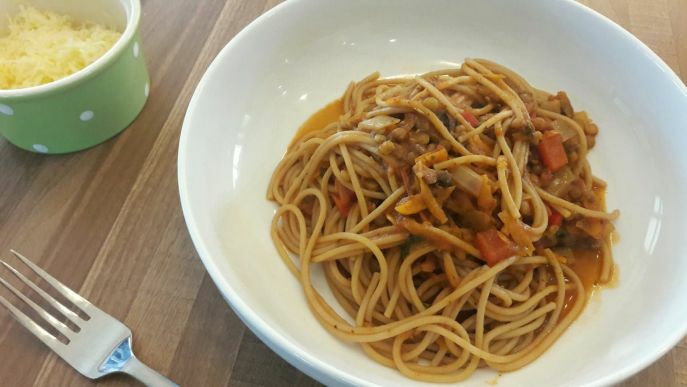 So much more than a bowl of pasta, this dish is a relevation, packed with flavourful veggie goodness. It is a nutritional power house created to maximise vitiman and minerals contained in our veg. Simple cooking, bursting with authentic flavours. Tried, tested, tasted and approved by children. We are encouraged to eat a rainbow every day and this Asian inspired dish using the popular prepared local cauliflower certainly has lots of vibrant colours to help with that. As well as this dish being quick and easy to prepare, it is lower carb and grain free, perfect for a light evening supper. 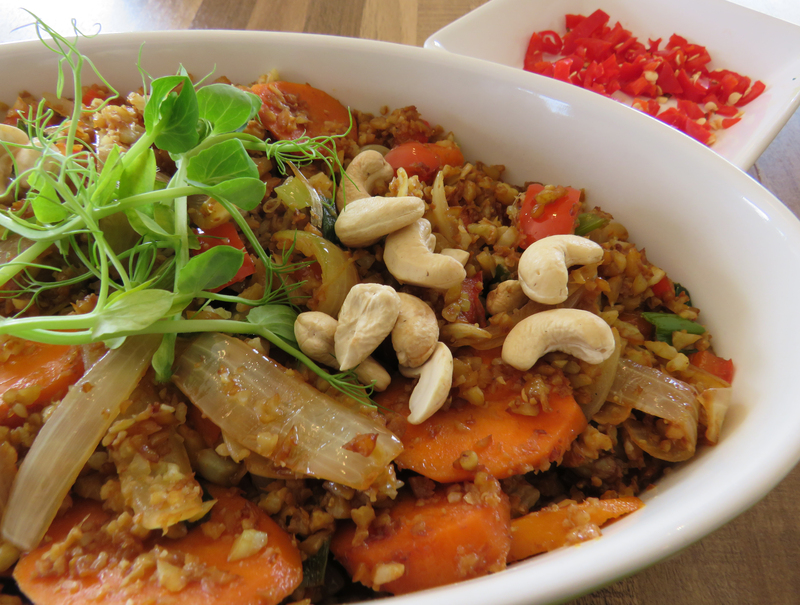 Cauliflower Rice, Cashew Nuts, Onions, Soy Sauce, Carrots, Garlic, Pepper, Red chilli, Pea Shoots, Scallions, Ginger.